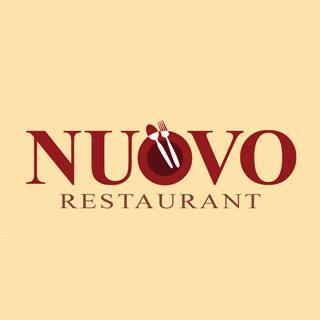 I have to admit that Nuovo is one of my favorite places in the city. Its quiet elegance reflects the hospitality of owners Loretta and Chef Alex ***. So what is Nuovo offering for WRW? Escargot for one thing. Not many restaurants would offer this French classic but Nuovo is serving it up for Restaurant Week. About a dozen snails were served out of their shells in a light butter, cream and lemon sauce that had a hint of garlic. I eagerly ate them and then sopped up the sauce with a hot crusty roll. Others at the table enjoyed a baked brie slab served atop a toasted crostini in a fig sauce with a hint of cinnamon. Both offerings were outstanding. The second course of the 3-course restaurant week menu offered a Caesar salad or the house salad. A minestrone was an additional option. Entrees included a Mediterranean Chicken, pan seared with garlic, onions, sundried tomatoes and feta, served over linguine. Another entrée choice was pan-seared haddock served atop cheese ravioli. The haddock was topped with parsley, sun dried tomato, onion and caper sauce. The third entrée was a braised beef short rib in a tomato, cream & vodka sauce served with mashed potato. Three pieces of succulent boneless short rib was just enough to be filling. Vegetarians should have no problem dining here. Nuovo offers a vegetable arrancini, with ricotta cheese as one of their appetizers selections and a vegetable risotto for an entrée. Beers and wine are reasonably priced here as well. Overall the dining experience reflected quiet elegance and a white tablecloth setting with expert service in a hospitable atmosphere.